Looking around, we see that cities are changing. New technologies are taking hold in our homes, offices, cars, and even in the air. What is the big picture, though? What will cities look like in five, 10, or 50 years? What are the technologies that will guide these changes? As the internet of everything expands, we have seen huge growth in the idea of the smart city: at its core, the application of information and communication technology to various areas of city infrastructure to enable better process and, in turn, better services for their inhabitants. This broad scope means that the concept of the smart city transcends traditional academic disciplines. There are implications from disciplines as wide as engineering, computer sciences, policy, communications, ethics and more. 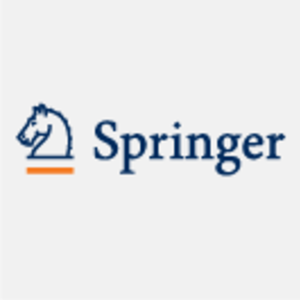 In order to provide the reader context to the smart cities topic, we have pulled together some of the top research on the topic from across the Springer portfolios in one place. This is supplemented by an interview with the experts, focusing on one particularly exciting area of smart cities: smart transportation infrastructure. The Editors-in-Chief of the new Springer Journal of Big Data Analytics in Transportation, together with Springer Executive Editor Swati Meherishi, discuss what impacts the move towards autonomous vehicles will have on city infrastructure. What could change, what needs to be changed, and what is the expected timeline for this change. All featured content is available to read free through Dec 1st, 2018. Open Access content is always freely available. Visit our Smart Cities home page here.